Winnipeg First Aid offers the best workplace approved first aid, CPR, AED and safety courses in the Winnipeg metropolitan area. This provincially approved certification provider has been offering emergency, childcare and standard first aid training to the people of Winnipeg since 2008. Low prices, great teachers and conveniently located training centres has made this provider the most popular. Typical participants include teachers, security guards, government workers, nurses, doctors, CBSA, police officers, fire fighters, pharmacists, dentists and managers to name a few. Re-certification and private classes are also available. Register for any course including standard first aid training in Winnipeg by using the contact information provided below. You can complete your enrolment with the application form on the Winnipeg First Aid website. A complete list of offered classes and schedules are available on the website. Use any of the above contact information to register for a course. Why Enrol with Winnipeg First Aid? Enrolment is quick and easy through the on-line application form on the website. Telephone calls, e-mails, and walk-ins at Winnipeg First Aid’s training centers are also highly encouraged. Trainees who are able to complete a course are awarded a certificate for first aid, CPR, and AED training, valid for three years throughout Canada. Refresher courses for expiring certificates are available twice a week with Winnipeg First Aid. 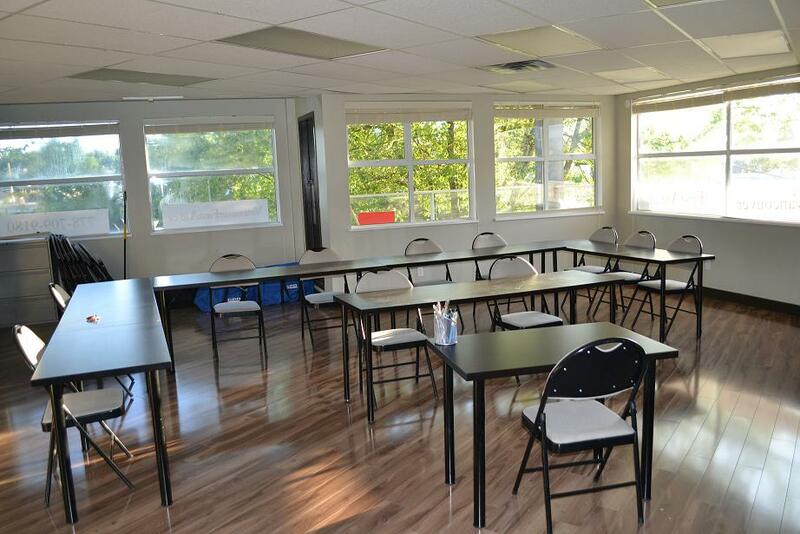 No other training service provider in the area offers lower training course rates than Winnipeg First Aid. Rates are inclusive of taxes, certificates, workplace approved registration fees, training manuals, and equipment. Trainees who drop out of a training course are entitled to a full refund, provided a 72-hour notice is given. Training centers are equipped with high-end training mannequins and AED trainers. Classrooms are spacious and air conditioned to provide the best learning environment for Winnipeg First Aid trainees. The Winnipeg First Aid staff is known for being very friendly and accommodating so don’t hesitate to ask questions about classes and schedules. Winnipeg First Aid instructors are all certified by St Mark James so you’re sure to get the best training possible. Basic first aid classes are focused on skill development training to address various emergency situations requiring emergency first aid. Knowing the right skill can be the difference between life and death so Winnipeg First Aid is dedicated to providing trainees with a very wide skill set. Stand-alone first aid or CPR and AED classes are available to trainees who do not want to undergo both classes in the training course. Trainees with scheduling problems can also opt for private classes, usually taken by big groups and companies. Refresher courses for renewal of expiring certificates are available twice a week at Winnipeg First Aid. St Mark James teaches trainees a “five-and-five approach” in giving first aid for choking victims. Five abdominal thrusts (Heimlich maneuver) – Wrap arms around victim, make a fist and place it underneath the sternum, and make five inward and upward thrusts. Alternate between these two until the blockage is removed and breathing is restored. Winnipeg First Aid offers you the best training for the cheapest rates possible. Enrol today!